Greetings and welcome to Lucky Mojo's Facebook Fridays! Giveaway for August 22, 2014. Are you facing legal challenges? Do you have an impending court date? Defendant or plantiff, civil or criminal, whether it's something as innocuous as a traffic ticket or as critical as a child custody case, you need powerful allies on your side. 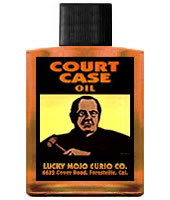 You need the benefits of Lucky Mojo Curio Companies Court Case products. 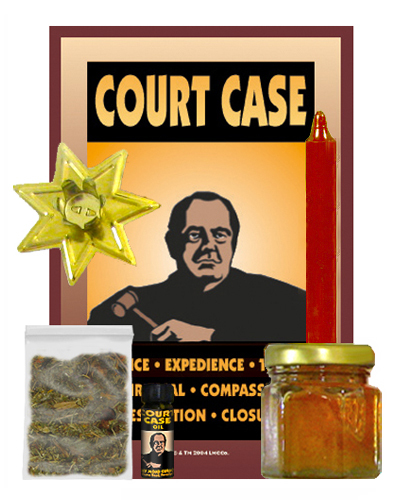 This week SIX lucky winners will gain strong spiritual asistance as we give away three Court Case Honey Jar Spell Kits, and three bottles of Court Case Dressing Oil. then scroll down, and post a comment to the Facebook Fridays! status message for August 22, 2014. First thing tomorrow morning, we will select SIX winners at random, and ask them to message the Lucky Mojo Curio Company Facebook Page with their mailing addresses, so we can send them their FREE Court Case products. We have a winner! In fact, we have SIX lucky winners! Our Facebook Fridays! winners for August 22, 2014 are: Jack Justin Dreher, Dee Ajab, Jamie Phelps, Federico Marincola, Tamara Kelly, and Rachel Gordon.